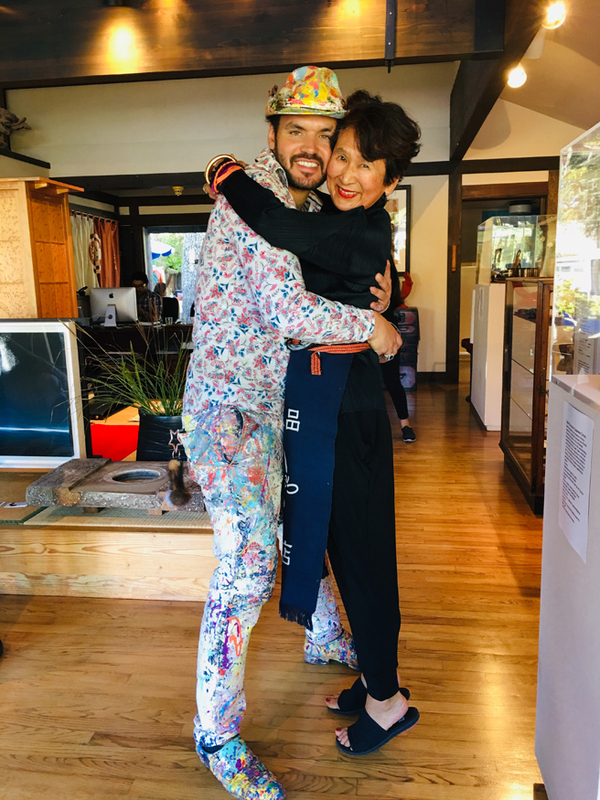 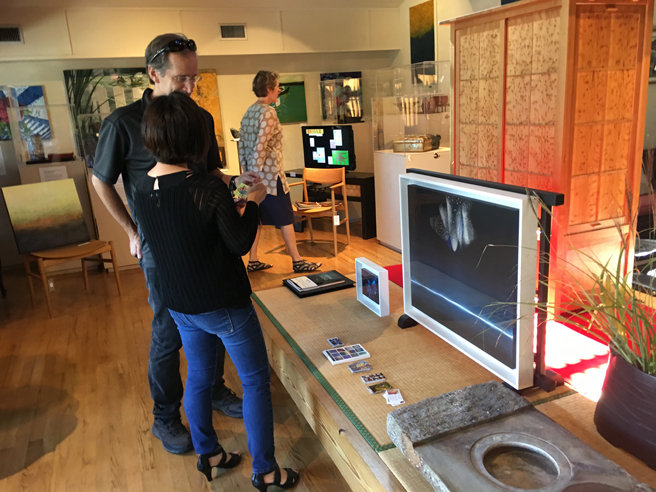 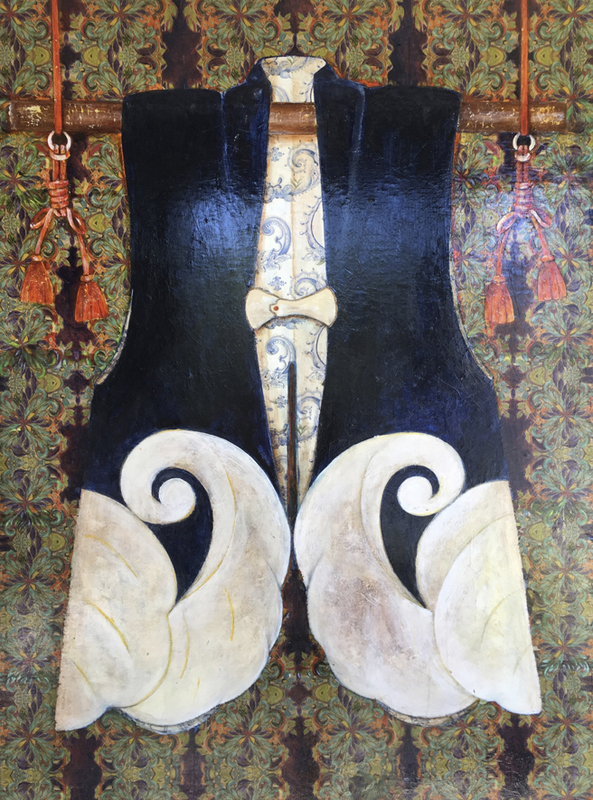 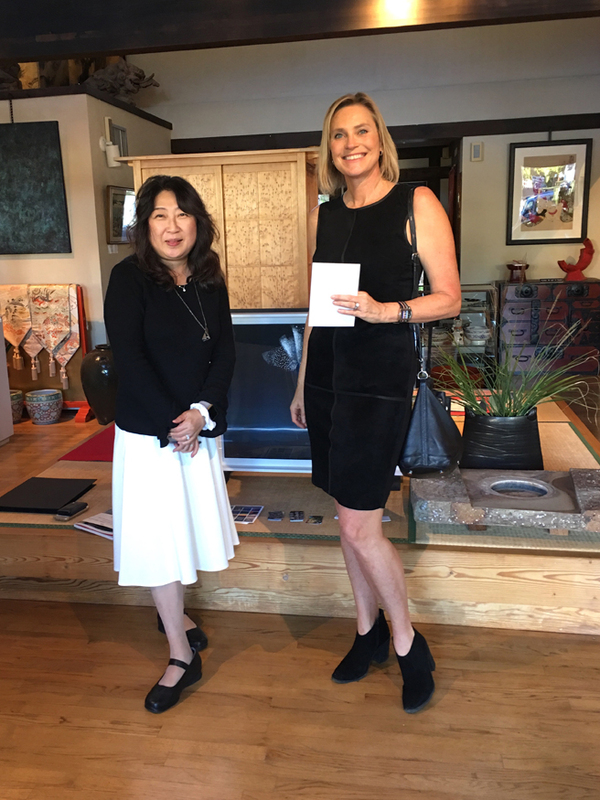 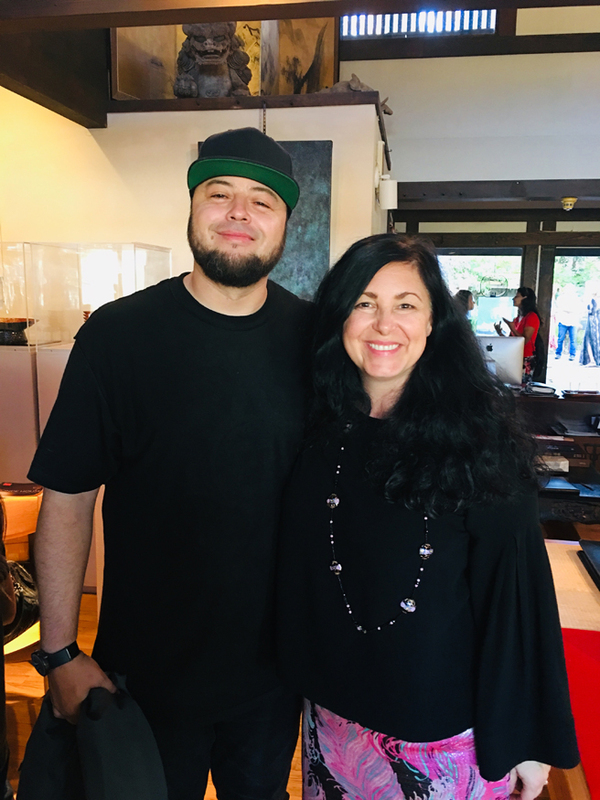 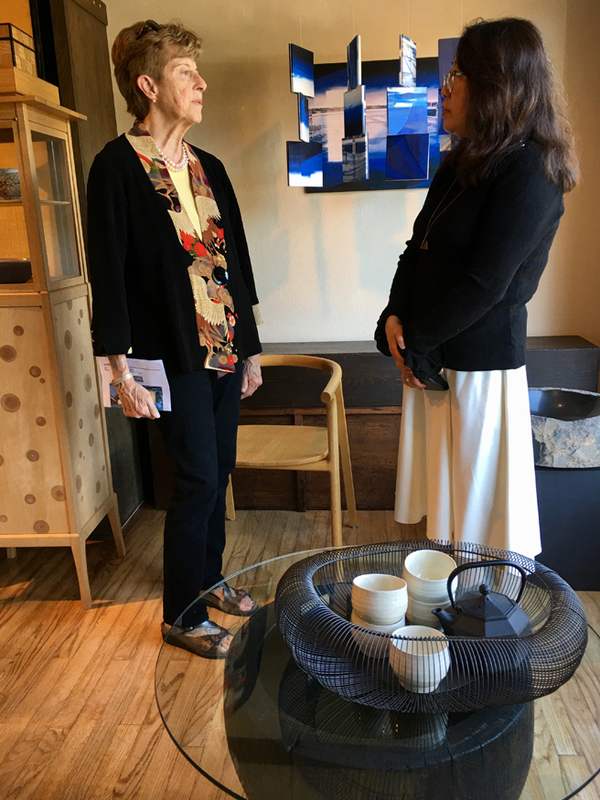 I am very honored to be exhibiting Blooming Deadwood at Kumiko Iwasawa Vadas’ gorgeous gallery, Iwasawa Oriental Art in downtown Los Gatos where Every objet d’art is carefully selected for not only it’s craftsmanship but how it artfully reflects the season and relates to its neighbor! 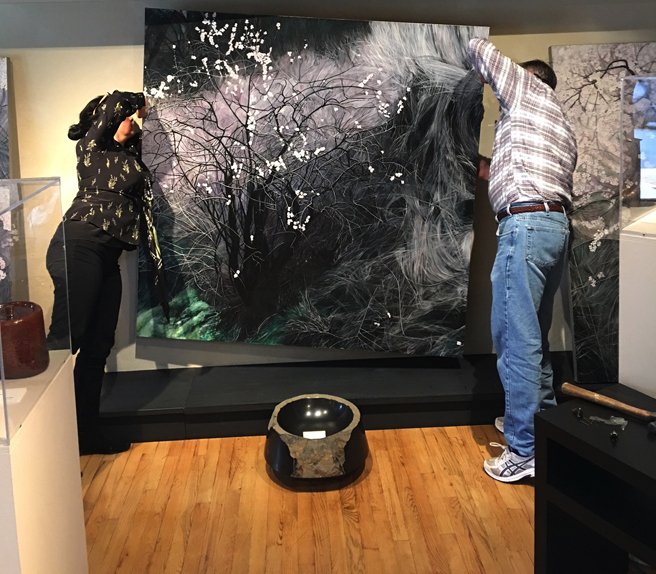 Thanks to Lorraine Lawson, David and Kumiko for your help with the install! 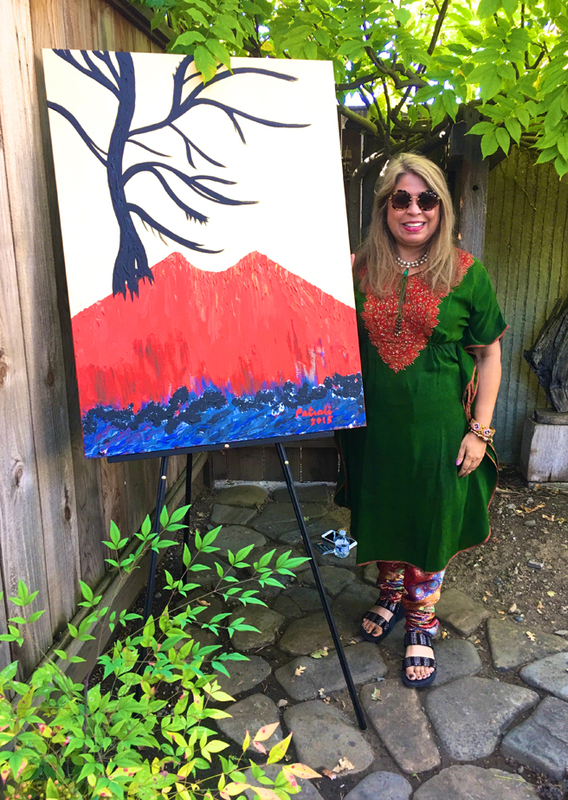 You can take the girl out of the valley, but you can’t take the valley out of the girl! 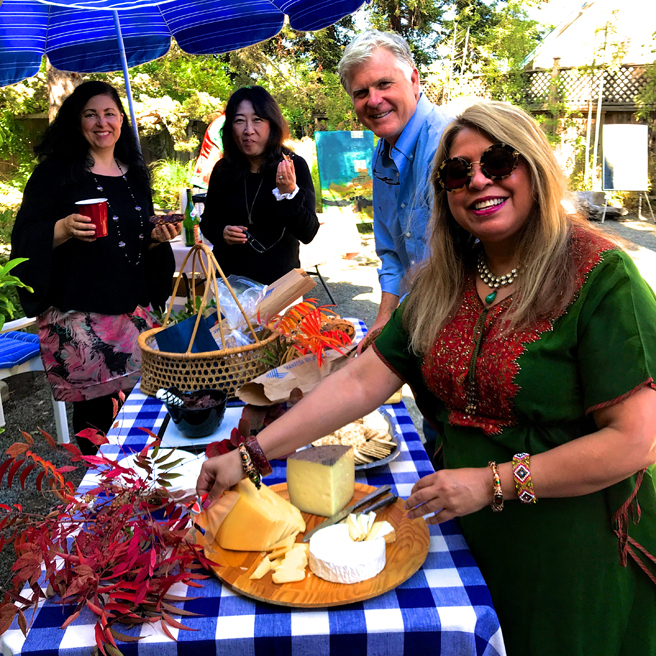 I grew up in the Annapolis Valley of Nova Scotia with it’s orchards flanked by basalt mountains and now I find myself in the Santa Clara Valley, formerly known as Valley of Hearts Delight, famous for its orchards and now more commonly referred to as Silicon Valley. 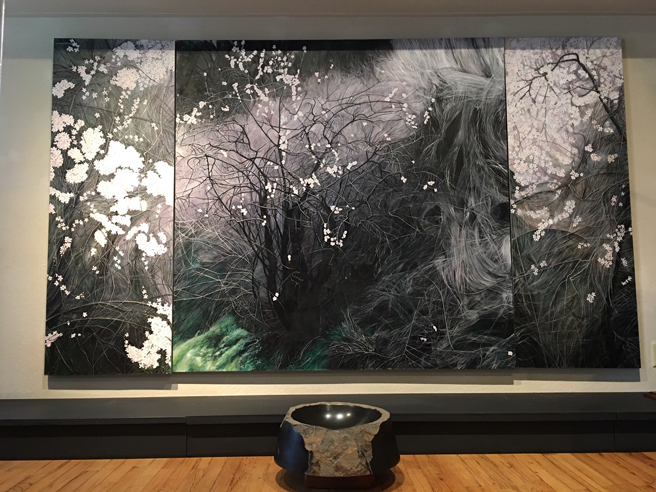 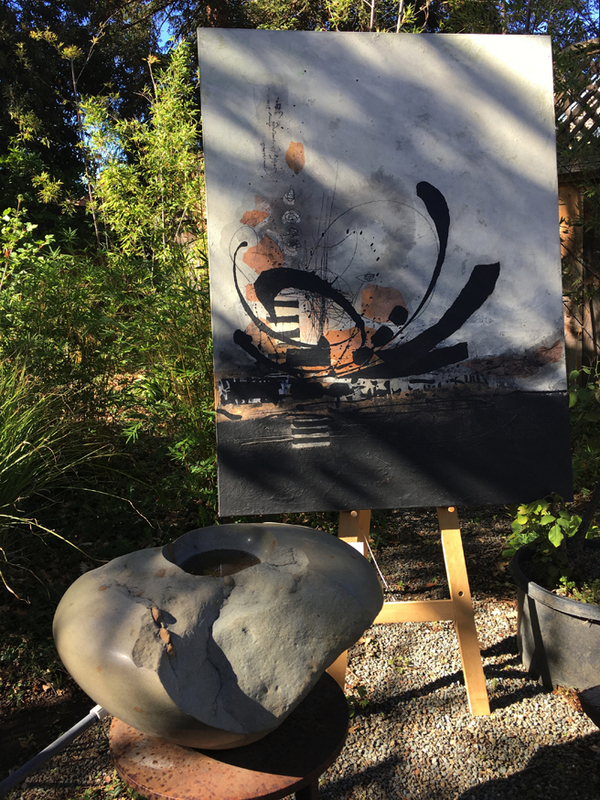 I adore how my painting, Blooming Deadwood, has been paired with Ken Matsumoto’s stunning Floating Usu, carved out of basalt! 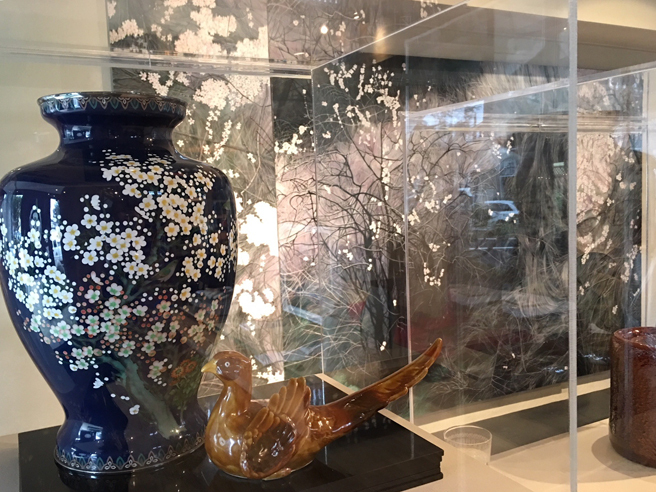 I love the relationship pieces have with each other at Iwasawa Oriental Art, especially this Meiji period vase and bird with Blooming Deadwood as a backdrop, can you feel spring coming? 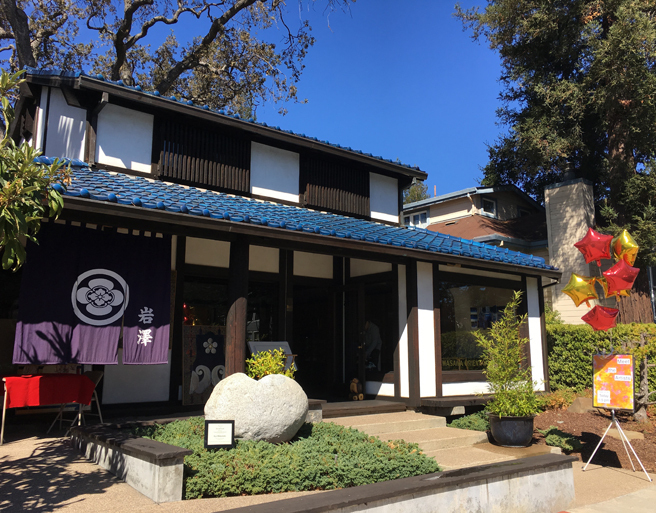 I am told their will be cherry blossoms in a few weeks! 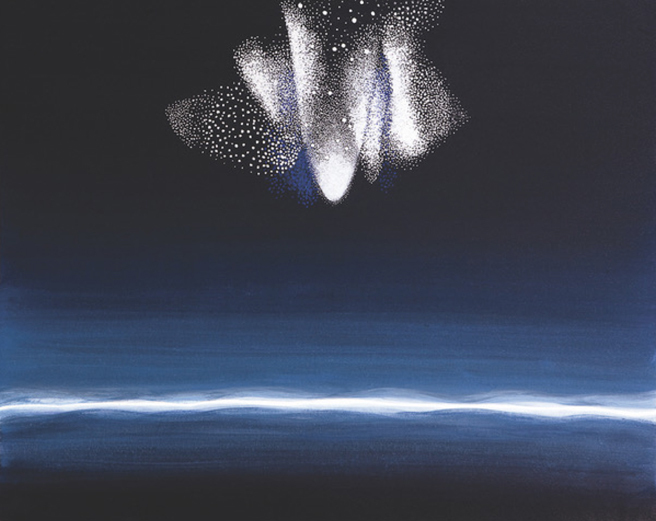 Galaxy by Hiroko Ohno, pigment and acrylic on paper mounted on wood panel. 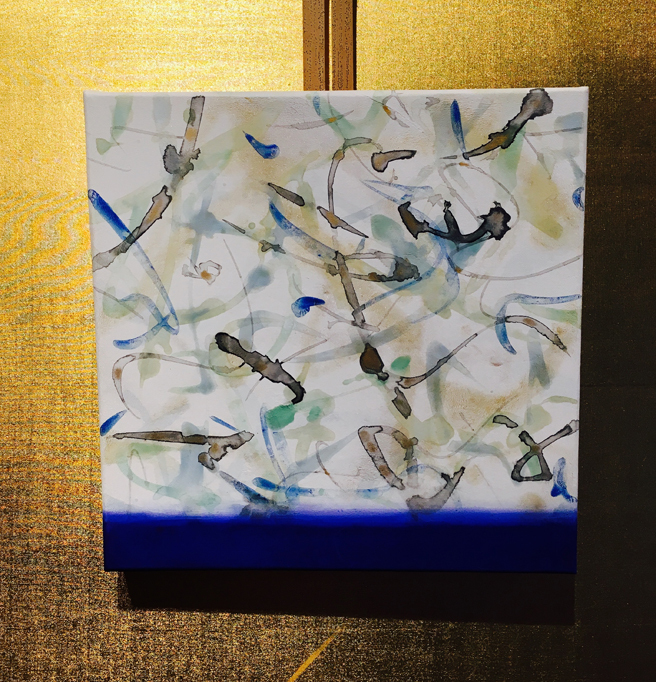 Giclée of Tokyo Waterfall by Hiroko Ohno. 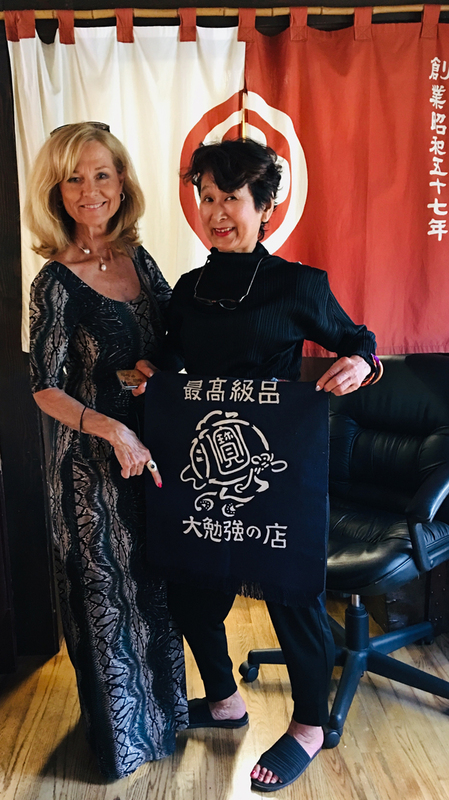 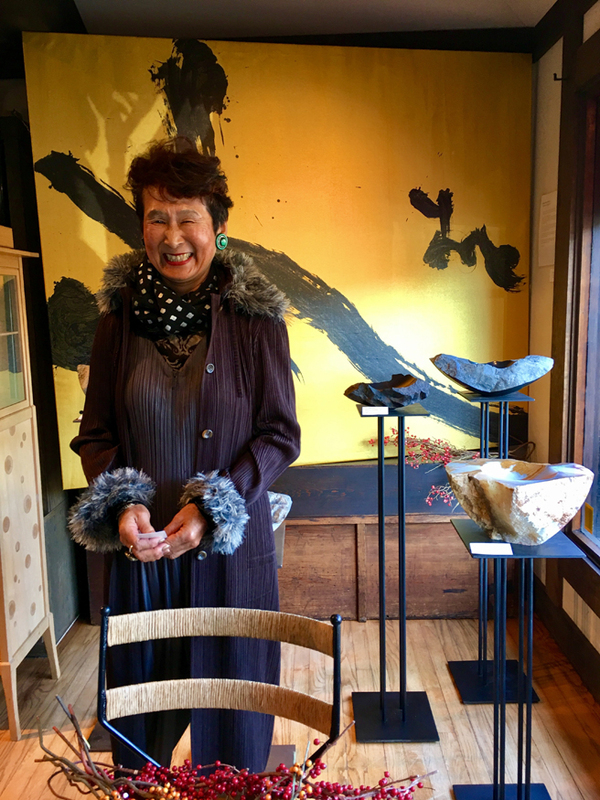 Also, Iwasawa Oriental Art will be conducting their first calligraphy class of 2018 with Kihachiro Nishiura January, 11th e-mail iwasawaart@comcast.net or contact them at (408) 395-2339 to reserve a spot. 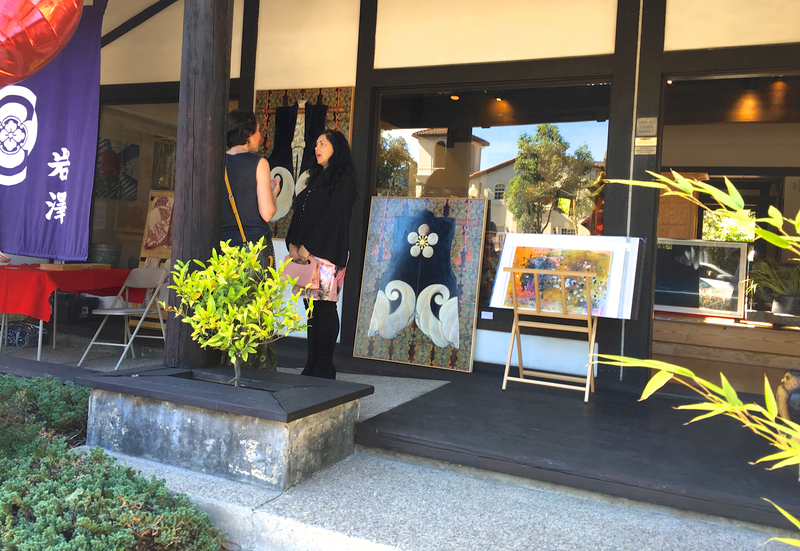 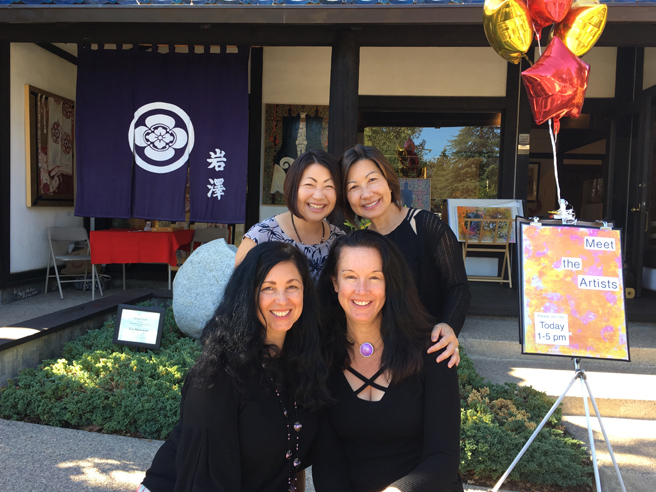 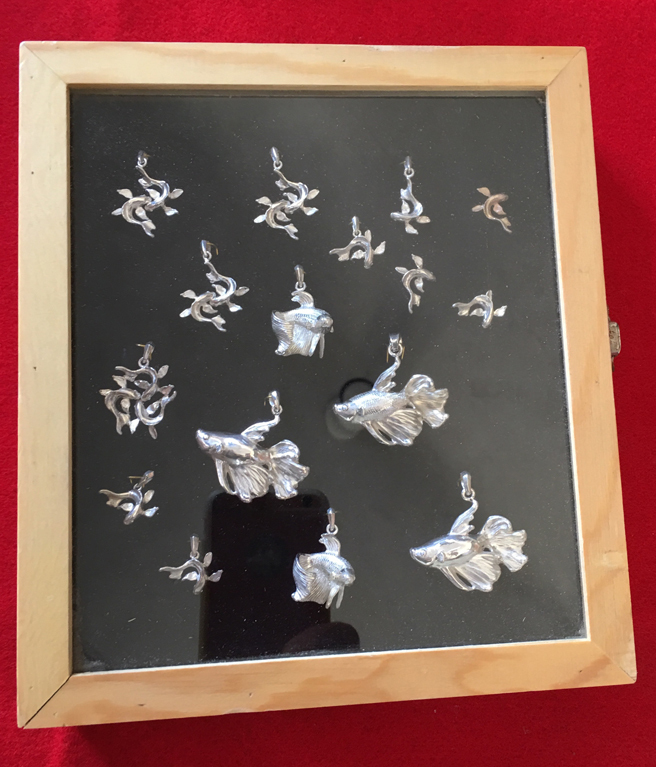 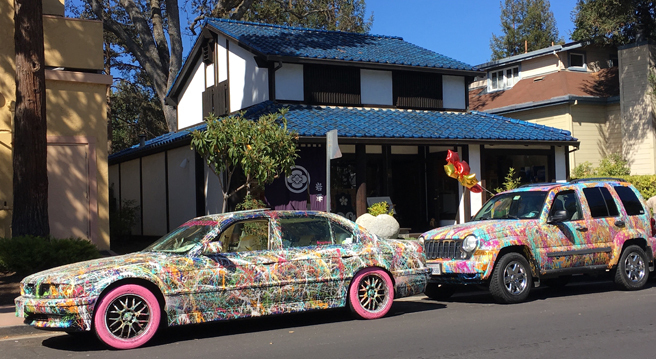 Have you been to Iwasawa Oriental Art yet? 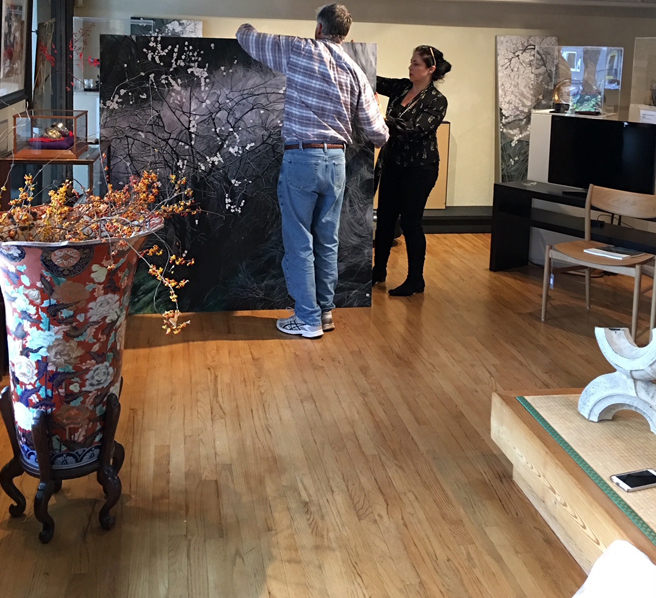 It’s a lovely gallery of fine Japanese art, furniture and design serving a very discerning clientele and celebrating their 35th anniversary this year! 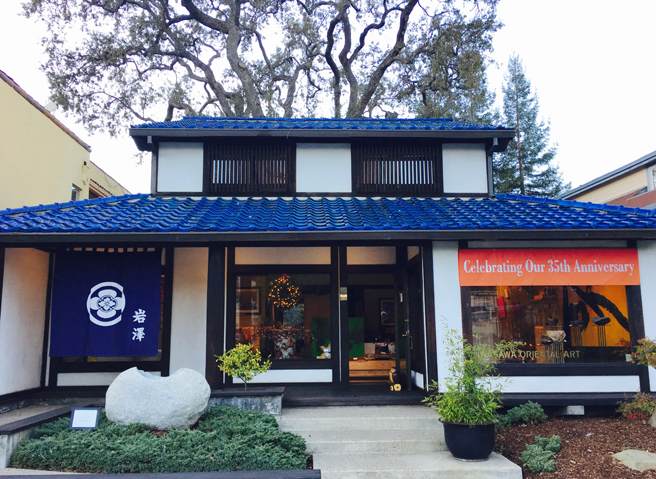 It’s located at 75 University Avenue in Los Gatos, California. 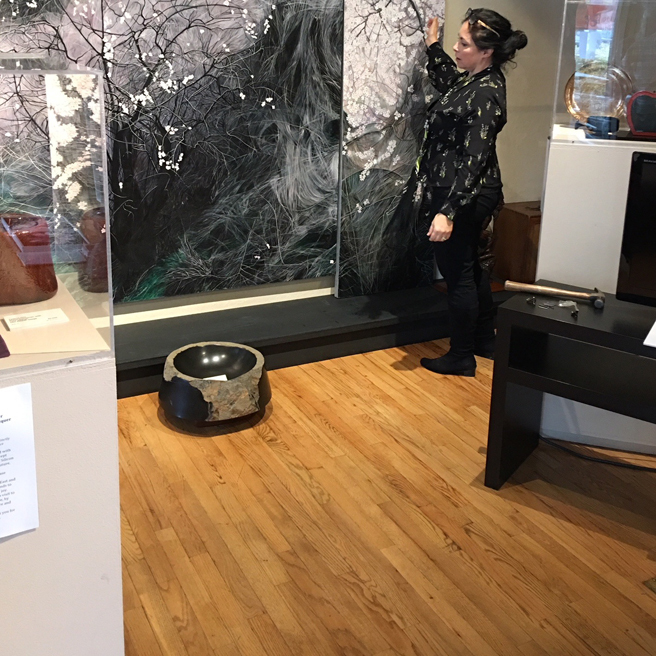 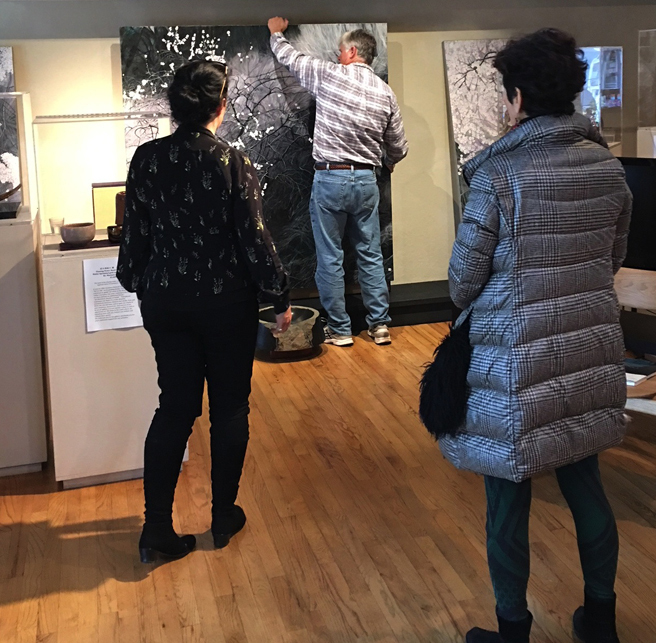 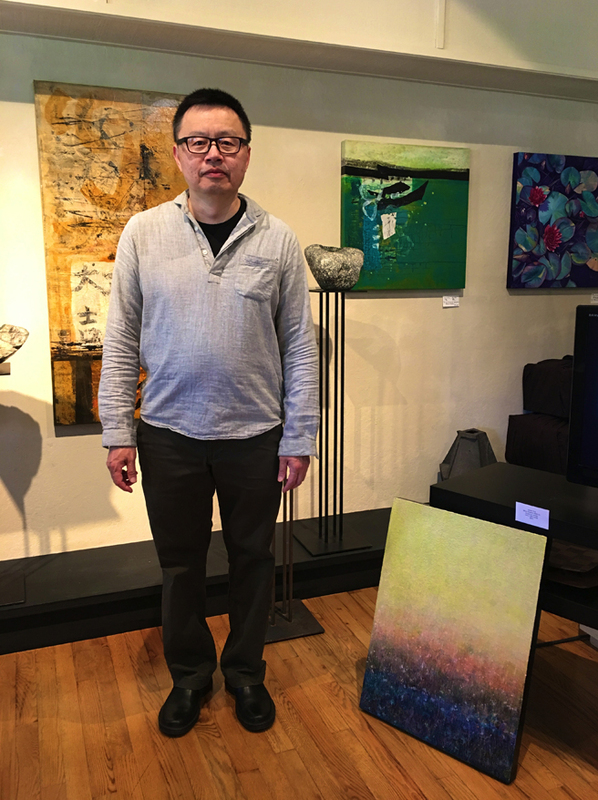 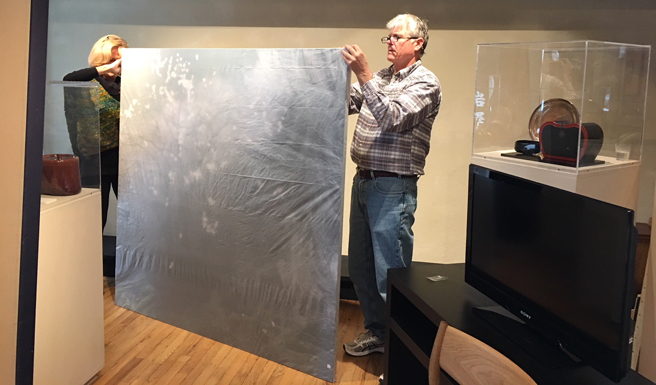 Kumikio Iwasawa Vadas, the gracious owner, exhibits work that reflects the changing seasons and is currently showing Water in Life an exhibit that runs until February 28th, 2018. 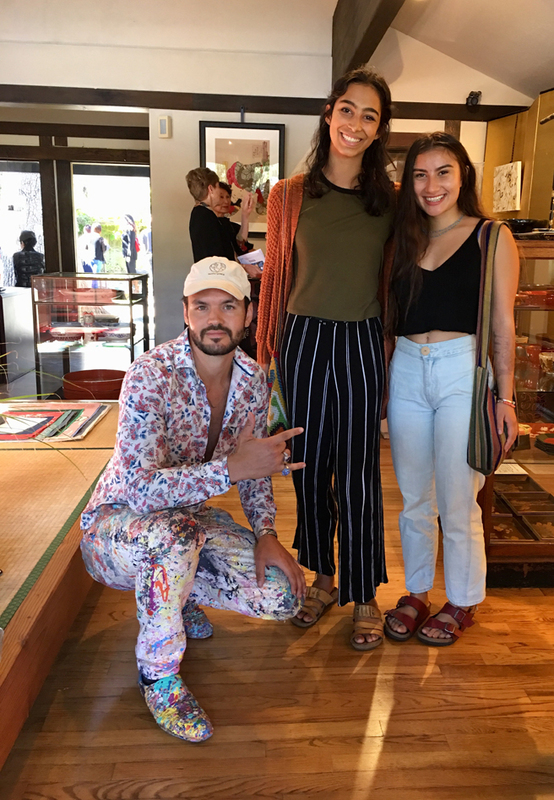 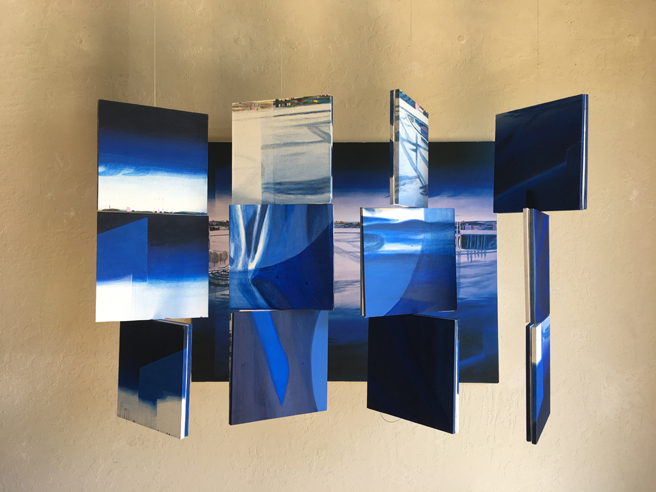 How perfectly this parallels the current Waterlines exhibition at NUMU (where my pieces Stilla Maris and California Water Rites are currently showing) for which she is one of several generous sponsors! 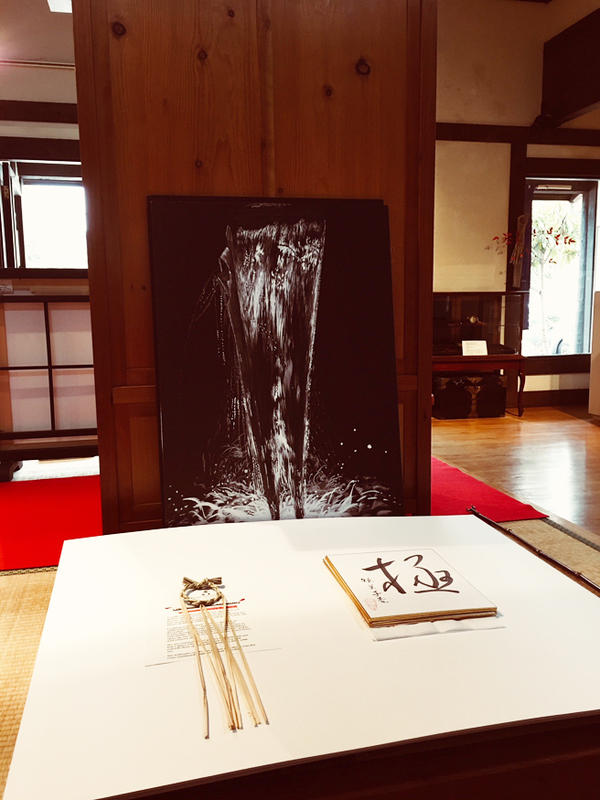 She is standing in front of a beautiful work of calligraphy by Kihachiro Nishiura – Sound of Water – Sumi Ink of Canvas. 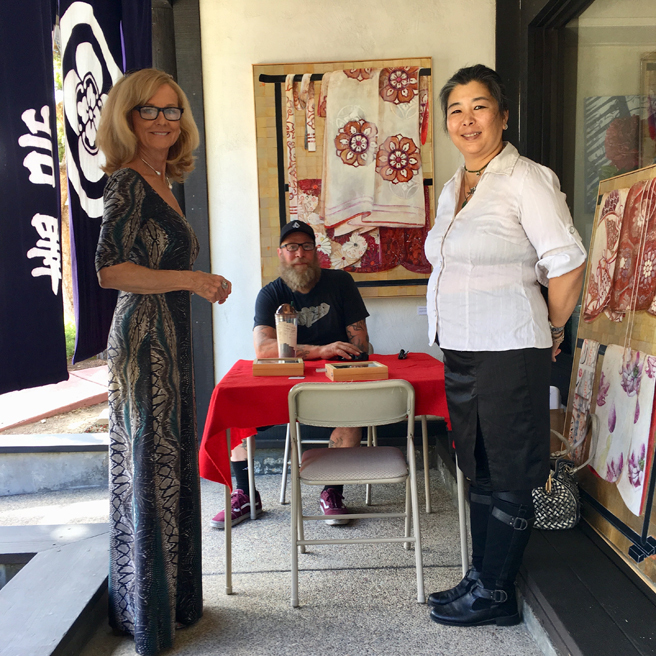 This skilled artist teaches calligraphy lessons at the gallery! 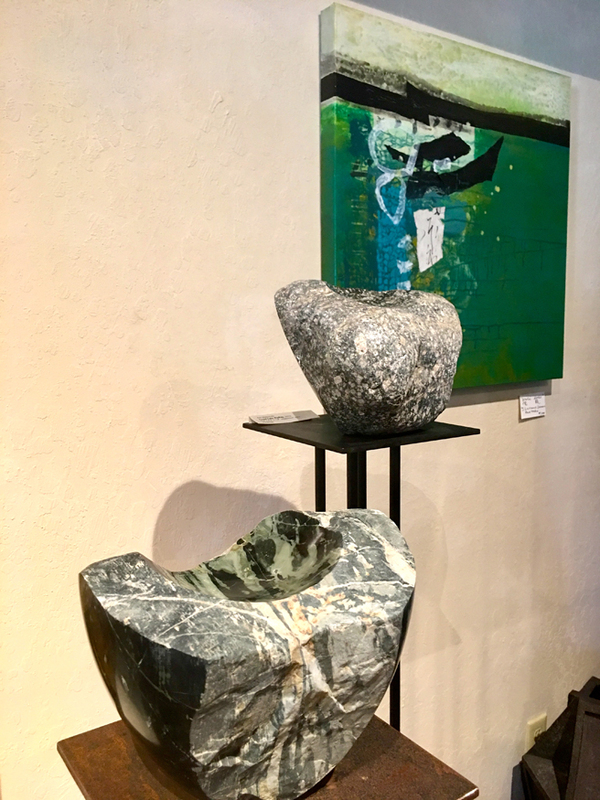 On display in front of the calligraphy are these amazing stone vessels by Ken Matsumoto, the one at the bottom is called Spillway Wash from 2015. 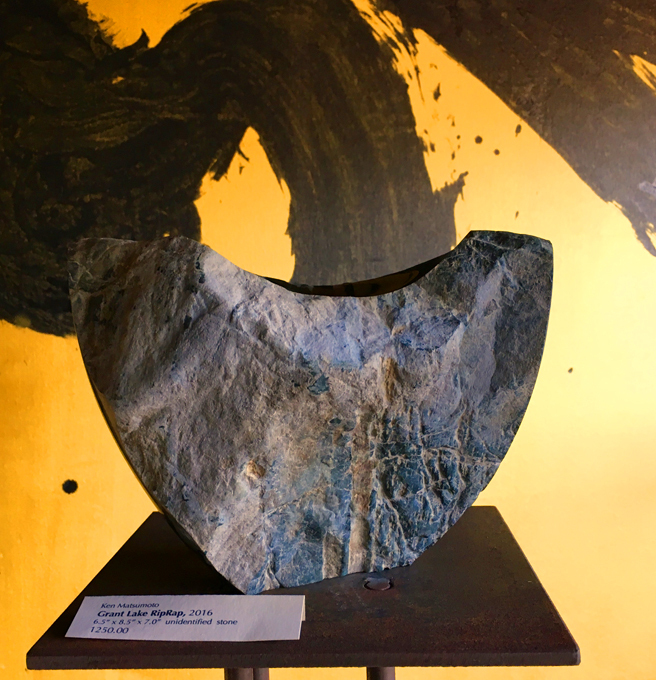 A painting from Masamichi Kotaki’s series, Neither a Point or a Line, work that echoes the gestural sweeps of calligraphy in Sumi Ink, mineral pigment and gold on hemp paper from 2006. 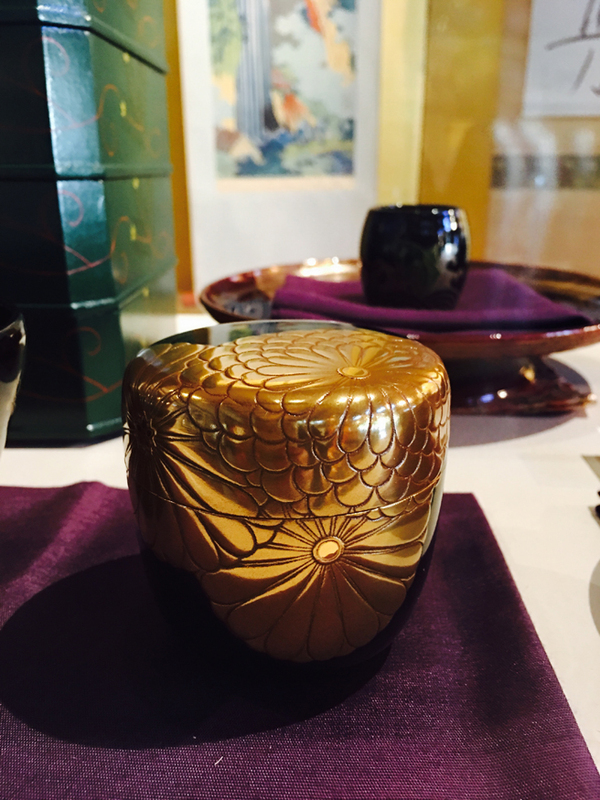 This beautiful Urushi or lacquerware green tea container is part of several vignettes of Toriawase in the gallery, the poetic art of arrangement, which is highly evolved throughout Japanese culture and maybe nowhere more so than in the Japanese tea ceremony in which the host can covey more than can be expressed in words with artful, thoughtful arrangements. 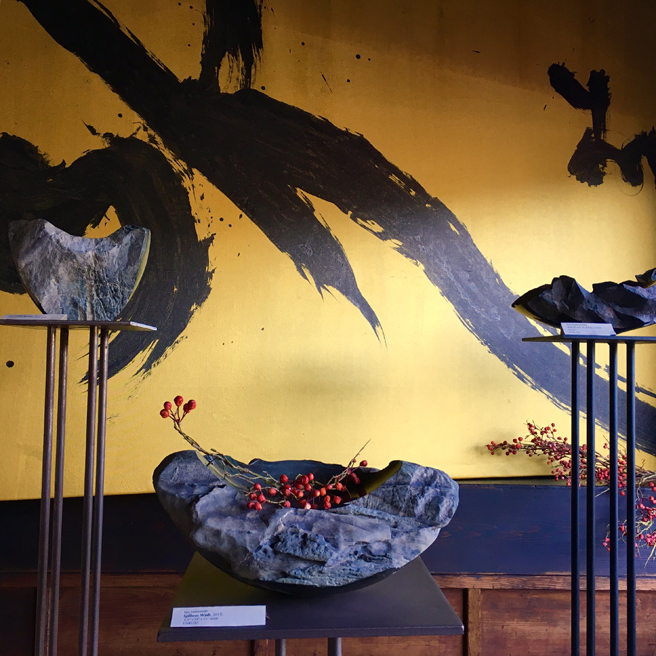 The Chrysanthemum of autumn, depicted in gold is a symbol of longevity and follows the idea of Shitsurae, the practice of arranging decor to reflect the season or occasion. 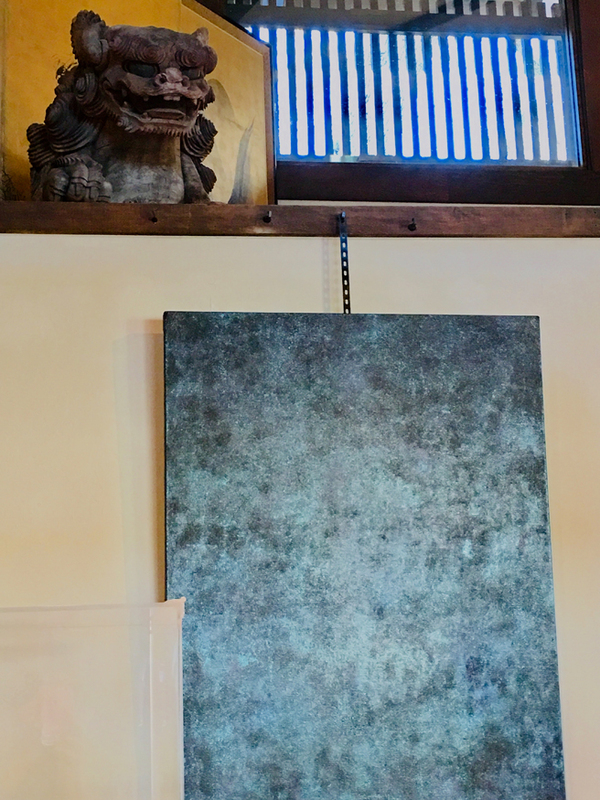 This piece is an example of Utsushi, where craftsmen look to employ and improve upon traditional imagery and methods, not to copy but to participate in an artistic dialogue that spans centuries. 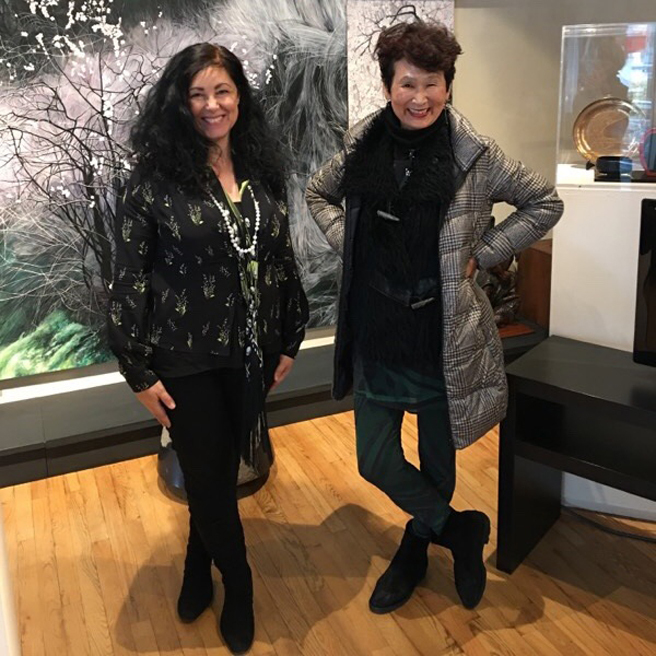 Not only did I want to share this wonderful gallery with you but also share the exciting news that Kumiko Iwasawa Vadas has invited me to exhibit my triptych, Blooming Deadwood, here in the spring! 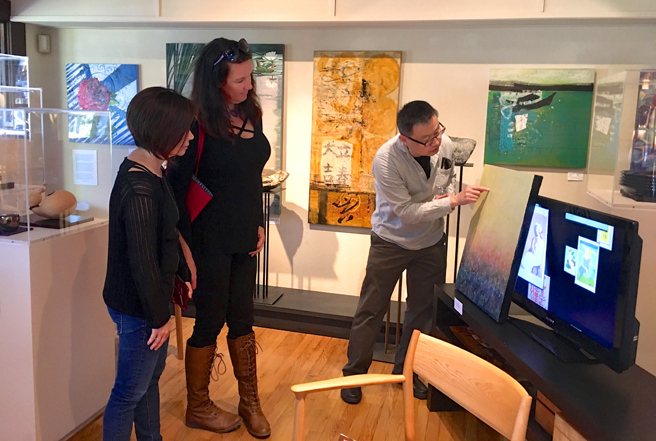 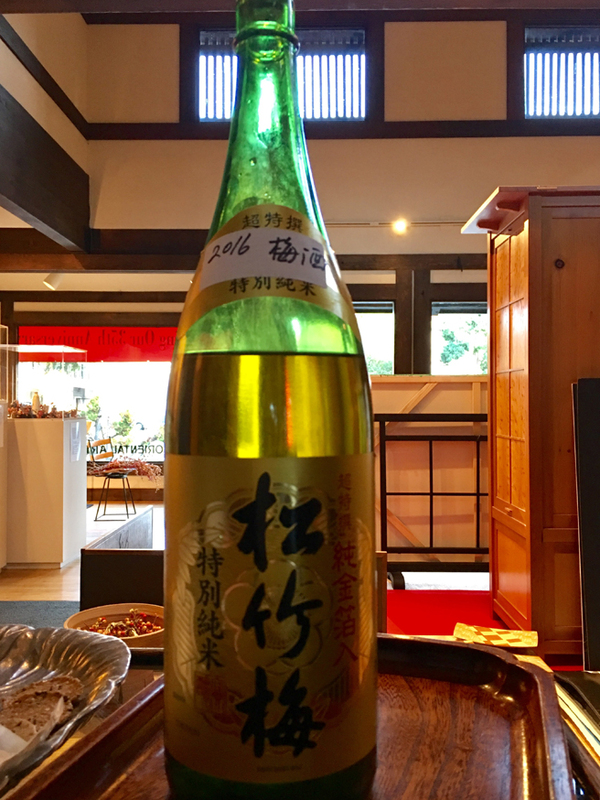 We discussed it with a few friends over some lovely plum wine, cheese and crackers after my artist talk at Fade where the painting in currently on exhibit at Vargas Gallery. 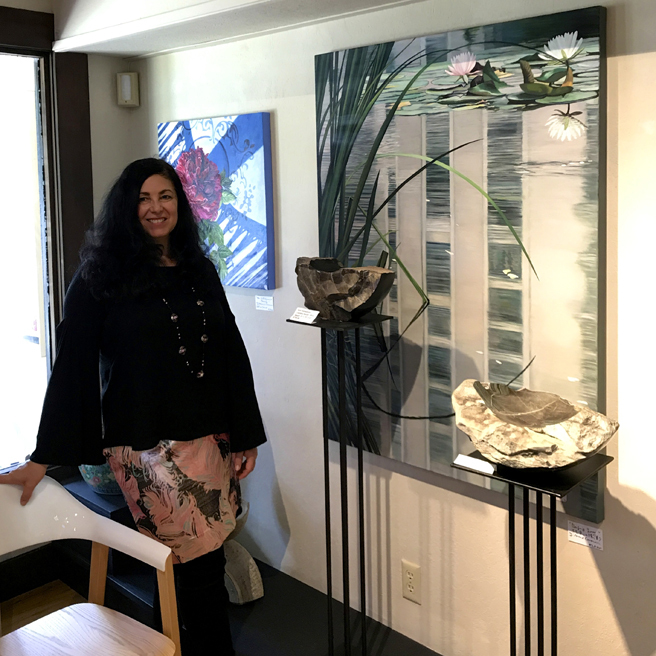 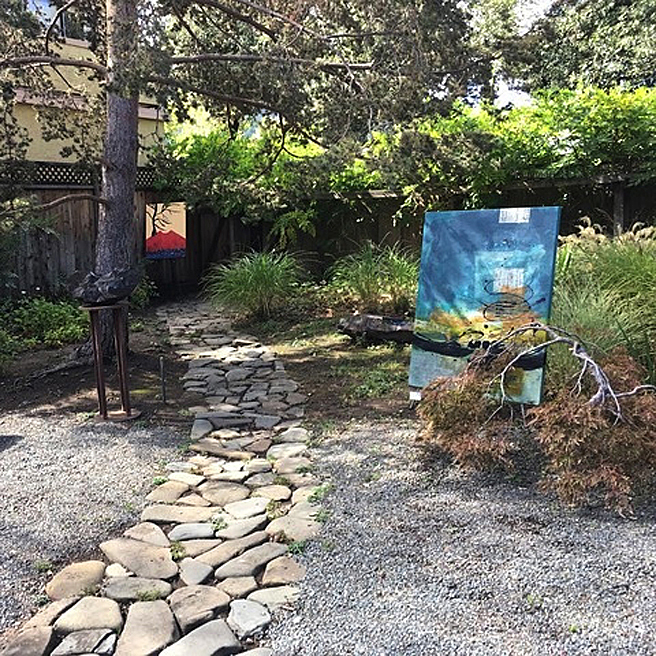 I am so honored to think of my work adding to the conversation of art and nature that envelops you when you enter this very special space!